​by a Board of Directors who donate their time, effort, and resources to benefit this theatre and this community. We have much to celebrate, for this is our20th year of existence! 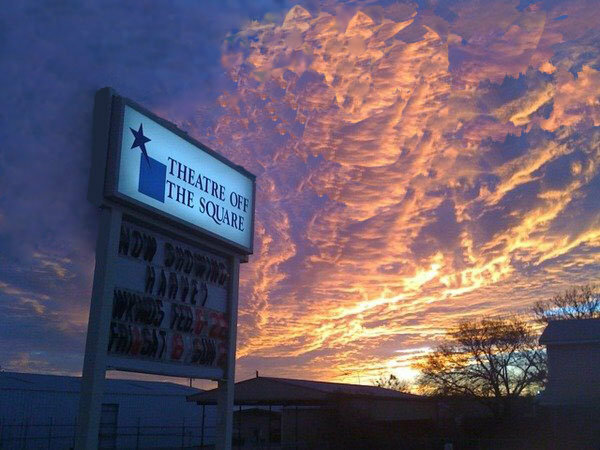 Theatre Off The Square is Parker County’s ONLY regularly scheduled live theatre venue. Our productions require a team effort, which includes the casts and production crews, the theatre Guild members, and our Board of Directors. As an all-volunteer, nonprofit organization, we rely on participation and donations from the community. We are pleased to accept any tax-deductible contributions to allow us to continue bringing the best of live theatre to Parker County. Be sure to explore our website to learn how you can participate at our community theatre. Please tell your friends and co-workers about us; word of mouth advertising is our best friend! As we grow older and wiser, we have added and changed various things to better serve our patrons. I encourage any comments or suggestions. Please feel free to contact me at president@theatreoffthesquare.org. On behalf of the Board of Directors, I wish to thank you for your new or continued support. We are extremely grateful for the time you spend with us. May you have an enjoyable season at Theatre Off The Square! We are thrilled to entertain you!